While there may not be much you can do about the neon beer signs and dead animal heads hanging on the walls inside of your guy’s man cave, there are things you can do to dress it up a bit. 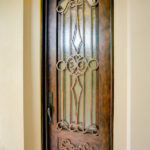 Like making the entrance to the man cave look like a beautiful side entrance! The client added a man cave to their home. We couldn’t believe how BIG it was…nearly the same size as the original home! The man cave was designed with a main entrance through a side door. 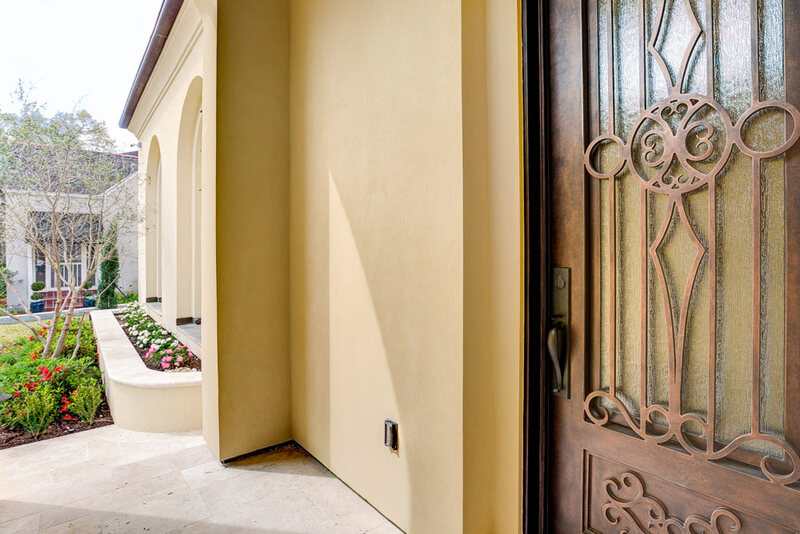 Our client desperately wanted to keep this entrance from NOT looking like it was to a man cave. 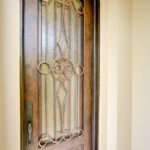 What they really wanted was for the door to match the style of the rest of the home which was elegant and customized. 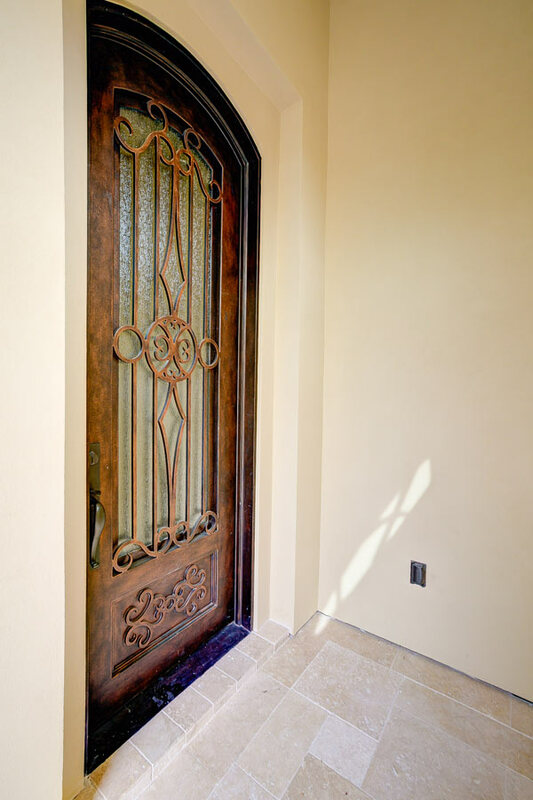 The client chose custom wrought iron doors for their side entrance to the man cave. 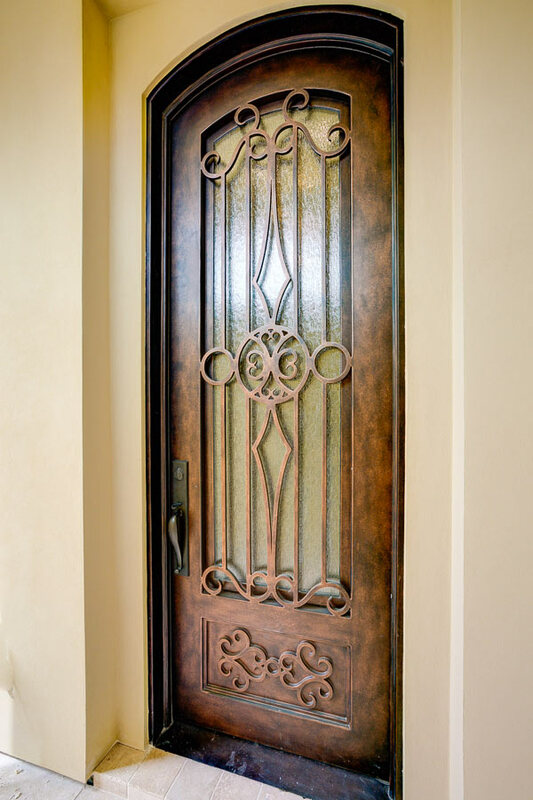 These custom designed doors are made entirely of wrought iron, even down to the custom iron work on the front. 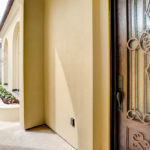 The finish is a beautiful brown, finished with automotive style paint for a lasting finish. 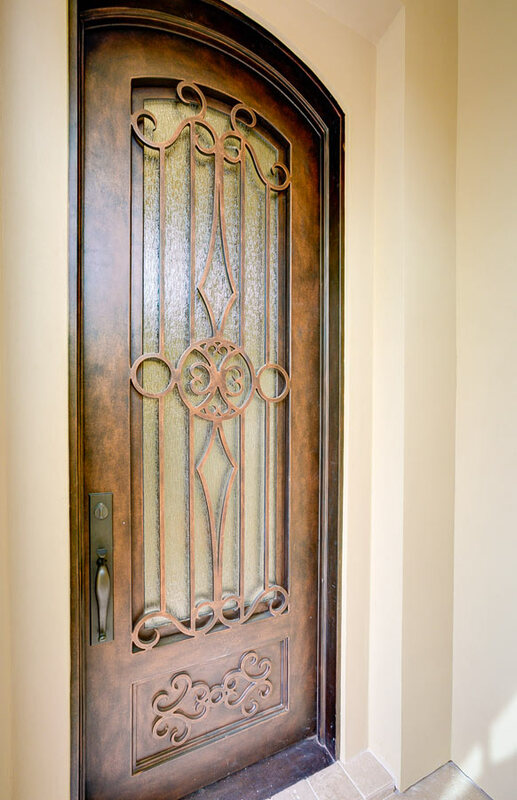 The glass behind the door is rain glass…similar to what you’d see in a shower. It lets in light but preserves the privacy by preventing people from seeing through the door. After all, who wants to be spied on while playing poker or watching football games in a man cave???? 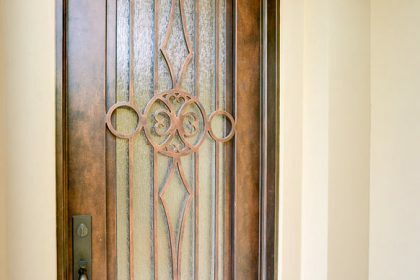 If your metro New Orleans home needs a custom door to match the existing look and feel of your home, we can help. 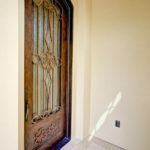 We have hundreds of styles of doors to choose from and can customize just about any one of them for your needs. Contact us for a free design consultation today!